Oz Torah: Ask the Rabbi on "Criticising people harshly"
Question. Is it right to criticise people harshly? Answer. There is a right way to criticise, and a wrong way. “whom the Lord loves, He chastises” (Prov. 3:12). For those who enjoy belittling others and their deeds, there is a parable in Mendele Mocher Seforim, the “grandfather of Yiddish literature”, in his presentation of the old-time shtetl. Question. Is it true that someone who visits the sick takes away a sixtieth of the person’s illness? “Hinneh avicha choleh”, “Behold, your father is sick” (Gen. 48:1). The numerical value of “hinneh” (“behold”) is 60 (5+5+50). Joseph’s visit to his father had a positive effect on the patriarch’s morale and “Israel (Jacob) strengthened himself and sat on the bed” – “al ha-mittah” (Gen. 48:2). In g’matri’a, “ha-mittah” is 59 (5+40+9+5). Visiting the sick must, however, not be allowed to irk the patient. The visitor must know when to come and when to go, what to say and what not to say. Question. I am left-handed and this caused me problems at school many years ago, where they tried to force me to use my right hand and in fact the teacher hit me with her ruler if she caught me writing with my left hand. I just wondered if there was a Jewish angle on the issue. Answer. Very much so. From Biblical times onwards there appears to have been a feeling that the right hand was more important. Taking a few examples almost at random, Jacob called his youngest son Benjamin, “son of the right hand” (Gen. 35:18). He put his right hand on Ephraim’s head (Gen. 48:14). 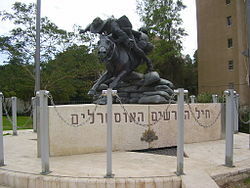 Batsheva sat at Solomon’s right hand (I Kings 2:19). “Because He is at my right hand, I shall not be moved” (Psalm 16:8). “If I forget you, Jerusalem, let my right hand wither” (Psalm 137:5). “Your right hand, O Lord, is glorious” (Ex. 156). Halachah likewise attached greater significance to the right hand because it was regarded as the stronger hand. The wedding ring is placed on the first finger of the right hand. The m’zuzah is placed on the right-hand doorpost. T’fillin are placed by the right hand (the stronger) on the left arm. The prejudice against the left hand led the Kabbalah to believe that the “sitra achra” – the other (i.e. evil) side, was “sitra smola”, the left side. Obviously this prejudice was found in many cultures; the Latin word “sinister”, symbolic of hidden evil, literally means “left”. However, Jewish tradition must not be used to justify well-meaning but unwise attempts to force children out of left-handedness, whether by smacking them with a ruler or otherwise. The Jewish rule is clear: if a person is left-handed, that, for them, is their stronger hand, and the stronger hand in that case is used to place t’fillin on the weaker arm, the right one. In Judaism, therefore, those who are left-handed are not regarded as left out. and what says the wise about tolerating abuse, not following the spirit of our ethics, closing eyes and keeping stumm when confronted with averot , refusing to know what wrongs his fellow Jews have committed so that he may not be called as witness !!! Who and how is to be decided what “harsh” is if the gravity of the transgression is not supposed to be known lest “harshness” is invoked !!! Are high demands on morality too harsh to be allowed the uttering !!! How is that soft and “positive” approach a proven tool to reach the deaf and rough indifferent obstructor of morals !!! If one is known to ignore our high standards through loud and aggressive impunity how can gentle tones reach beyond a shield of spite and defiance !! !